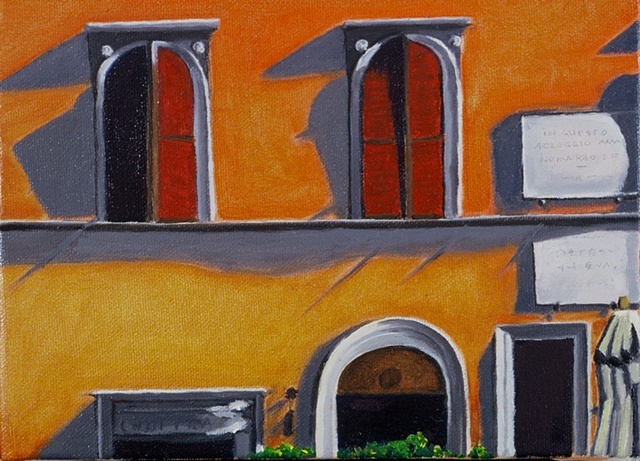 Painted from a photo of the Albergo Del Sol, which overlooks the Pantheon in Rome, Italy. It caught my attention not only for the sumptuous colors, but for the memory of staying one night here with my then-husband, the poet Irving Layton. Our room was at the open window.